Now that Spring is here, I’m sharing a favorite photograph from Autumn. It makes no sense. And this was shot with an iPhone. In my day to day life I try to recognize or find something cool to photograph. This tree was right next to a local gym. 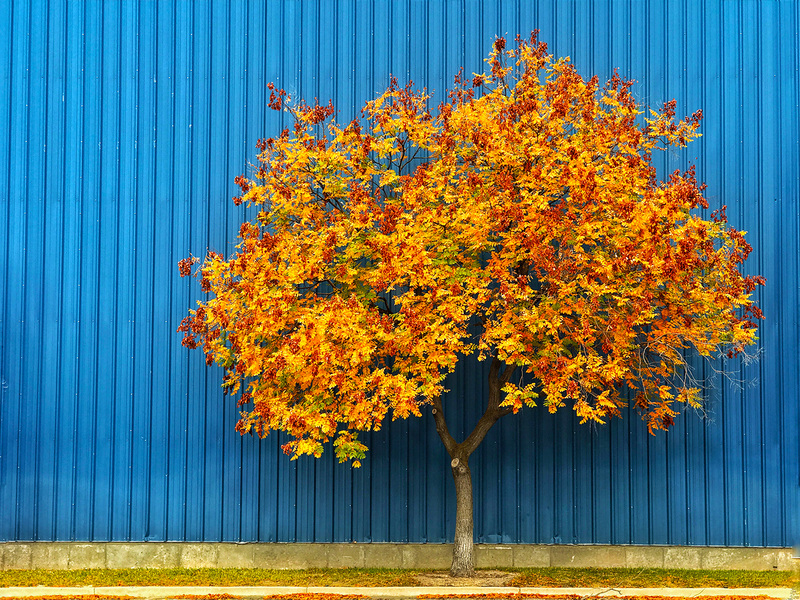 The color contrast between autumn leaves and the blue metal wall is what drew me to this scene. And, the best camera is the one you have with you. Life gets busy and crazy and we need to appreciate the beauty we find along the way.